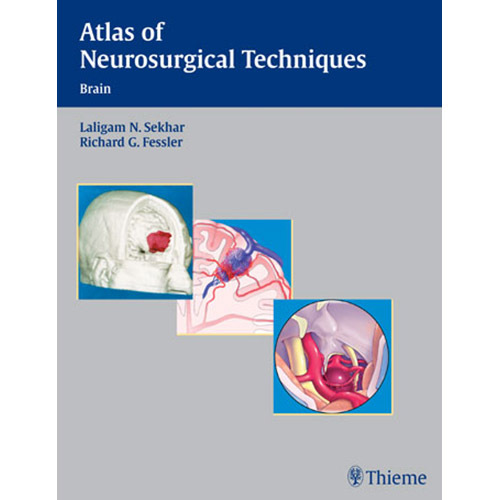 Atlas of Neurosurgical Techniques: Brain presents the current information on how to manage diseases and disorders of the brain. Ideal as a reference for review in preparation for surgery, this atlas features succinct discussion of pathology and etiology that helps the reader gain a firm understanding of the underlying disease and conditions. The authors provide step-by-step descriptions of surgical techniques, clearly delineating the indications and contraindications, the goals, the operative preparation and anesthesia, and postoperative management. Common complications of techniques are also emphasized. Over 900 illustrations aid the rapid comprehension of the surgical procedures described in the text. This companion volume to Atlas of Neurosurgical Techniques: Spine and Peripheral Nerves is an essential reference for all neurosurgeons and residents seeking the current information on state-of-the-art techniques in brain surgery.